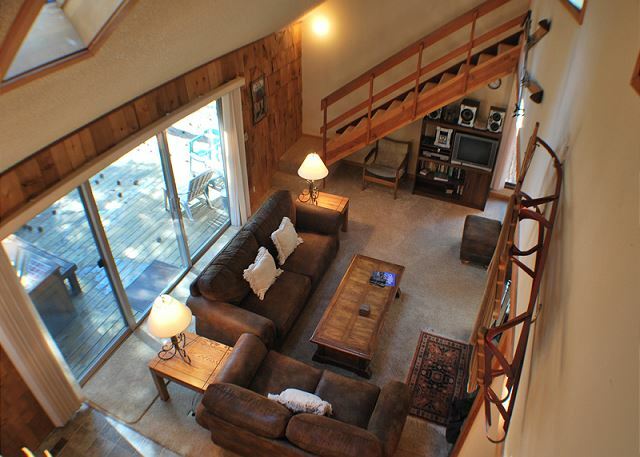 Pine Mountain #4 is a first-class 3 bedroom, 3 bathroom, vacation home with a loft, perfect for a group of 10. 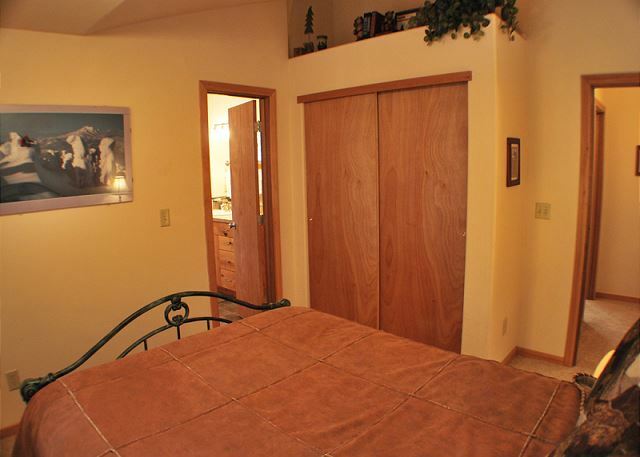 The one bedroom on this floor has a Queen-bed and full bath attached. This place has ‘cozy’ all over it! 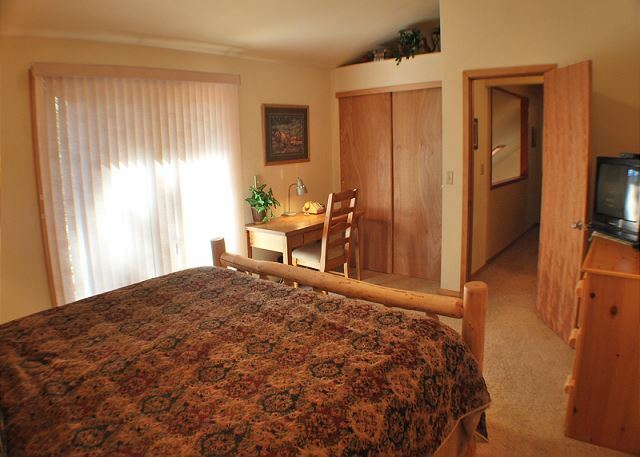 The upstairs finds a master bedroom with a King-bed and access to a small private balcony. 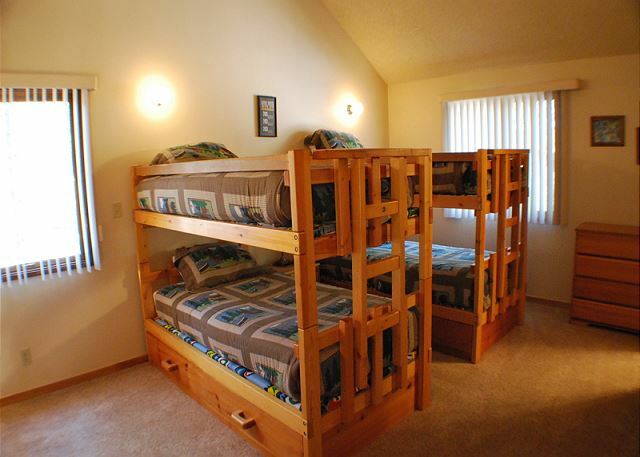 A second bedroom has a Queen-bed, and the loft has 2 sets of Bunk-beds- perfect for kids. 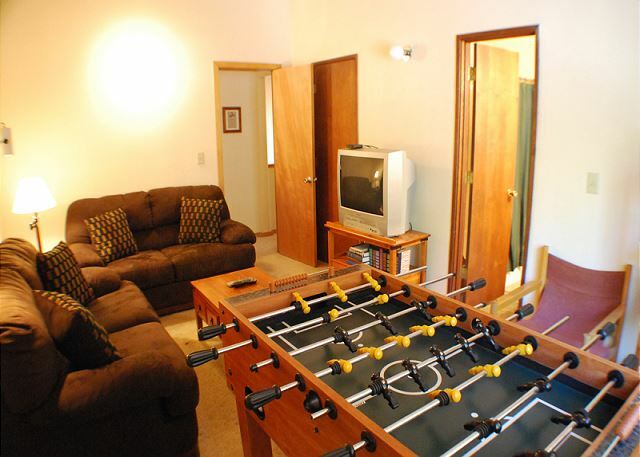 The adjoining game room has a foosball table and a TV with DVD…great place for the kids to hang out! Two full bathrooms complete the upper floor. On the deck is the private hot tub, gas BBQ, and picnic table. 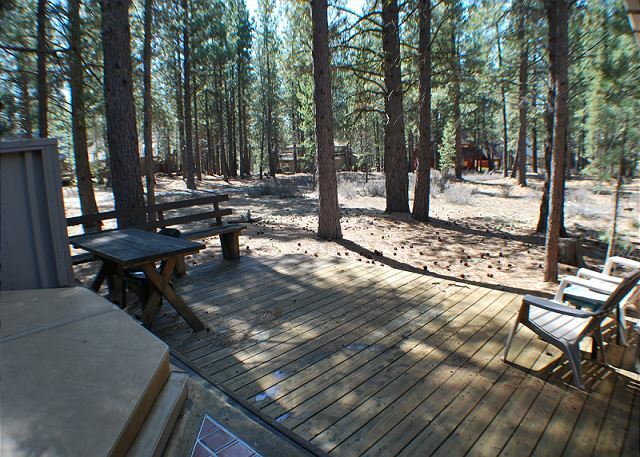 This is the place to soak up Sunriver’s year-round sunshine with a cold drink, or a hot toddy! Just beyond the deck is access to the Resort’s 30 miles of paved bike paths. Enjoy!! 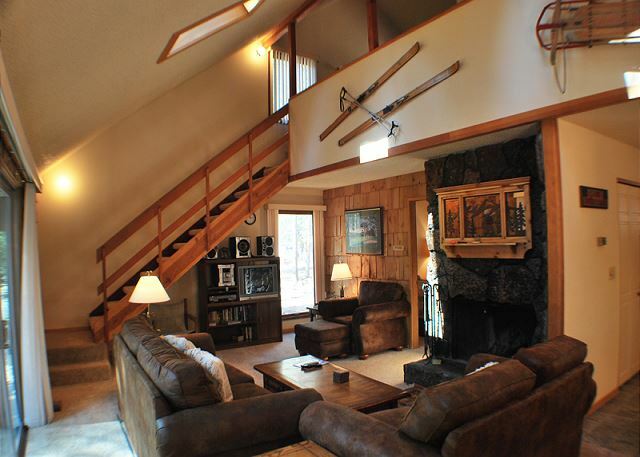 This home has 8 Unlimited SHARC passes, free tennis and free access to the Sunriver Marina. a guest from Vancouver, WA does not recommend this vacation rental. Thank You for your review, Jorja! 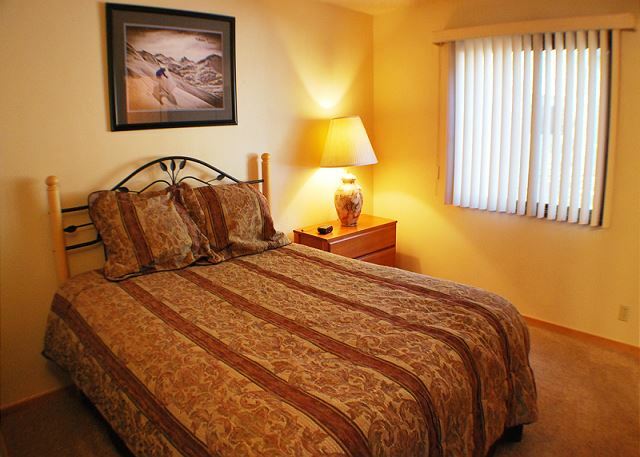 So glad to hear that you had a very good stay and enjoyed the beds and linens and thought the home was a good value! Anytime you find that you are needing items to make your stay more enjoyable, please reach out to us and we will bring the items to you! Hope to see you again! 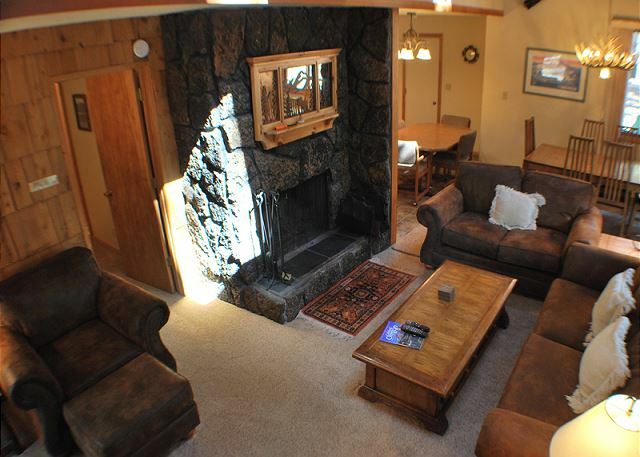 We enjoyed this comfortable cabin located in a quiet area of Sunriver. The large kitchen made for fun family cooking. We also enjoyed the BBQ on the deck, followed by time in the hot tub. You could use a new picnic table, the one end in broken and is leaning but made for some funny jokes. Lots of ants in Sunriver (it's a bad year for bugs) but your maintenance people came right away and sprayed so no problem. Thanks for a wonderful week. Loved the house. Thanks so very much for the great review Kerry! We are thrilled that you had such a great time at Pine Mt 4. We will get our maintenance staff out to look at the picnic table and get a suggestion out to the owners to replace it. We hope to see you again soon in Sunriver! Our family enjoyed Pine Mountain #4 and we look forward to returning. Our adult children enjoyed the hot tub and foosball. We look forward to returning in the early fall to enjoy the bikes and SHARC passes. The weather wasn't as good as we would have liked, but we still had a great time. The home was nice, but needed a plumber badly. The showers didn't work well and the kitchen Fawcett leaked badly. The ignitor on the Bar-B-Q didn't work so the first night we had to go to the store and get matches to start it. The kitchen was not as well stocked as places we have stayed before. 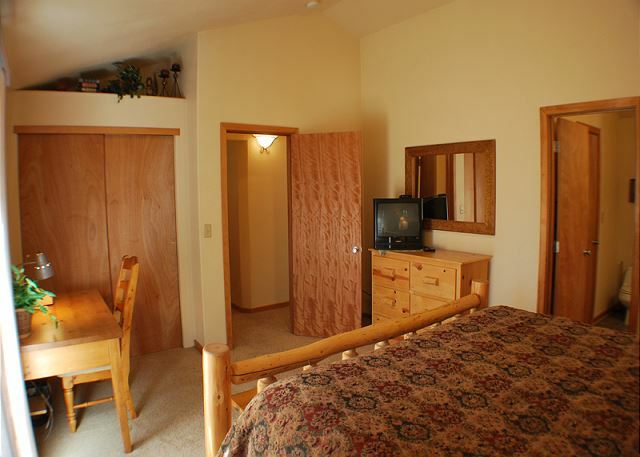 We were able to deal with the short comings, but I have experienced better in Sun River. I would stay here again, but I would bring more supplies from home, including a decent pan for frying eggs. Thank you for your feedback, Sharon. I've alerted our Maintenance department about the plumbing and BBQ issues. Please don't let these things hinder your vacation when you stay with us. We ask that you PLEASE let us know if there is ever anything missing, not working, not as clean you'd like, etc. We will respond very quickly and sincerely want the chance to fix ANYthing that is not up to standards so that we're sure you enjoy your stay. Thanks again for your feedback and we hope to see you back in Sunriver soon. This place was well maintained although obviously not very new. Good furnishings and amenities. Very small TV, which we didn't care about, but I'm sure some people would. The space was adequate for three families with small children. The bikes provided with the house were a great relief as we did not have to transport our own. The hot tub was also quite enjoyable although we couldn't figure out how to change the temperature setting (maybe we weren't supposed to?). The space inside was actually a bit bigger than I thought the pictures made it seem. 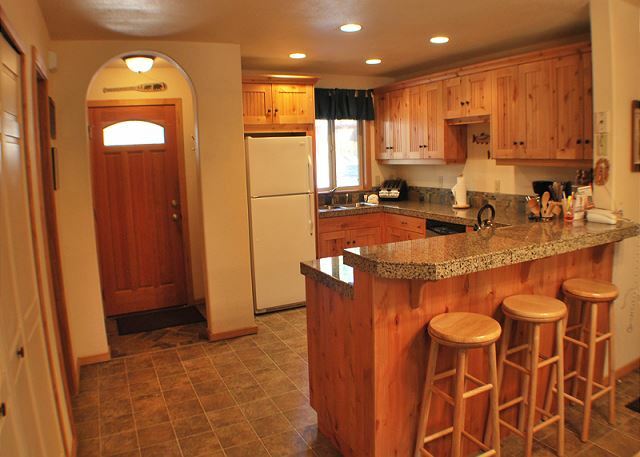 The kitchen was very nice and large enough for multiple people to work without bumping elbows. Good proximity to the SHARC and the village shops. Also we thought that the rental company was a pleasure to work with. 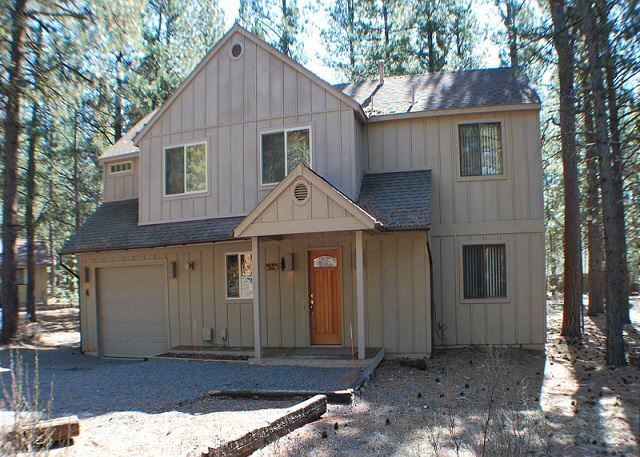 I've rented in Sunriver before and this place was a good value for what it delivered. There were seven of us, four adults and a 4 year old, 12 year old and 16 year old. Plenty of room for everyone. 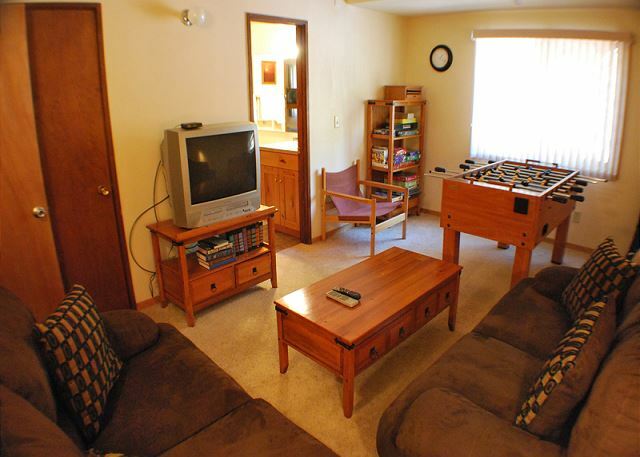 The extra sitting room with TV and Foosball was great! Our hot tub stopped working on the first day and was promptly fixed the second morning! Great house! fix so we used other showers. Toilets need modern internals. good bikes. 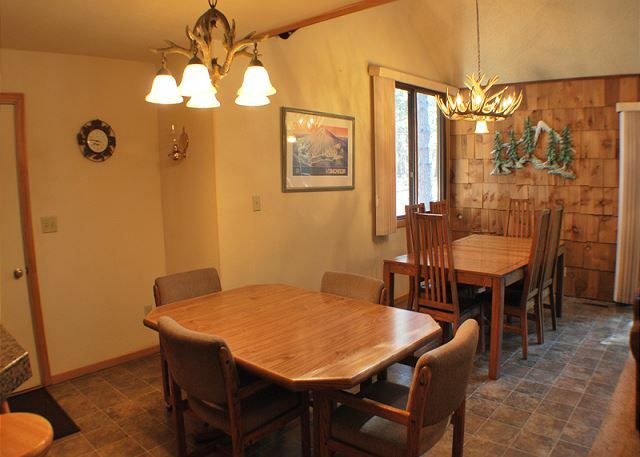 Great location, nice floor plan for a group, clean & comfortable home. Sunset Lodging property management group were professional, friendly and very helpful (Shawntina you provided exceptional customer service). For comfort and enjoyment, we would recommend to the homeowner to add a nice patio set on the back deck vs. resin chairs. Contracted service for hot tub needs improvement! Hot tub was down for 3 days during our stay which was disappointing. Sure things break down, not a big deal if you have professional, responsive and timely contracted services. This was not the case for our experience. We made 6 calls to the Hot Tub service company over 3 days (as they did not return our calls) and the first tech indicated a "new unit" was needed and then a second tech came out on day 3 (as we continued to call them) and he made a minor repair within 10-15 minutes and it was up and running. Overall a good stay and a comfortable home. 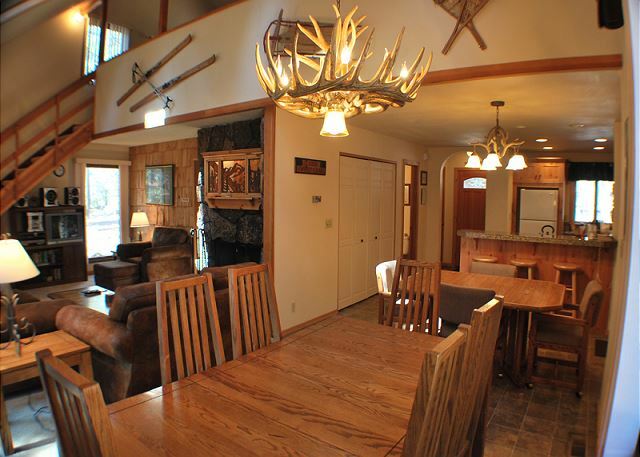 Pine Mountain #4 with its three bedrooms, three bathrooms, and extra bunks and family room provided a perfect space for our family of six adults and two children. Sunset Lodging staff was wonderful to work with, and all 8 unlimited SHARC passes were used five of the seven days of our stay. The bikes were a plus. The house was neat and tidy with adequate kitchenware and dining room space, and its proximity to the bike path and roadway made it a perfect place. We will request this home another time. This is terrific!! We will look forward to your return to Sunriver, Charlene. And don't forget about your rebooking discount for Summer 2016! Our family of 5 rented the house last week and had a great experience! The location is phenomenal! We loved taking the short bike ride to the SHARC and its only a little further on to the village. The house had all the things we needed-extra paper towels, napkins, detergent and toilet paper. It was comfortable and clean. We loved the skylights, made it very light and bright, even on the rainy days. We would stay here again! By the way, the management company was the best!!! We had a battery go out in a smoke detector, and they came out within 15 minutes to have it fixed. When the hot tub wasn't running right, they came out right away. We've never worked with this company before, but will look for homes managed by them in the future. This is such good news, Monica! We are so glad to have provided you the service you deserve. Please DO hurry back, we'll look forward to your next visit to Sunriver which we hope will be soon! 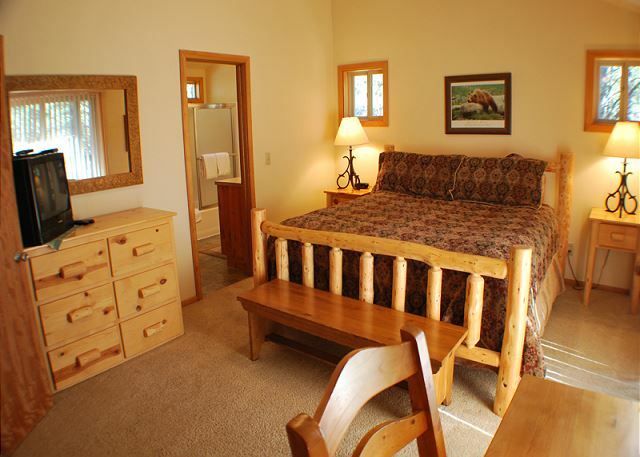 Our stay at Pine Mtn 4 was great! 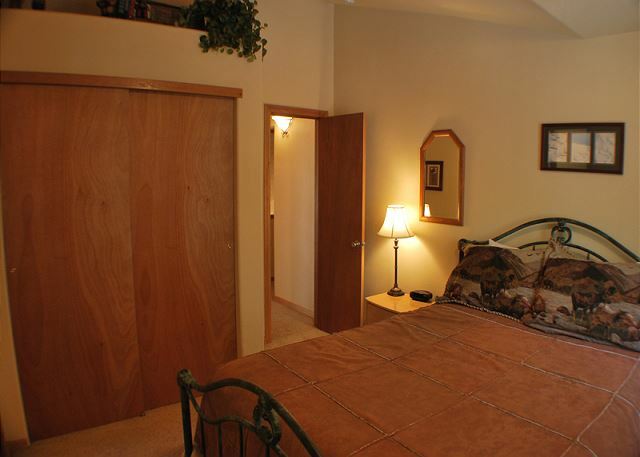 The bedrooms were cozy and well described. The kitchen and dining area were a perfect set up for our large group! Will consider to rent again. We sure hope to see you again, Jocelyn! 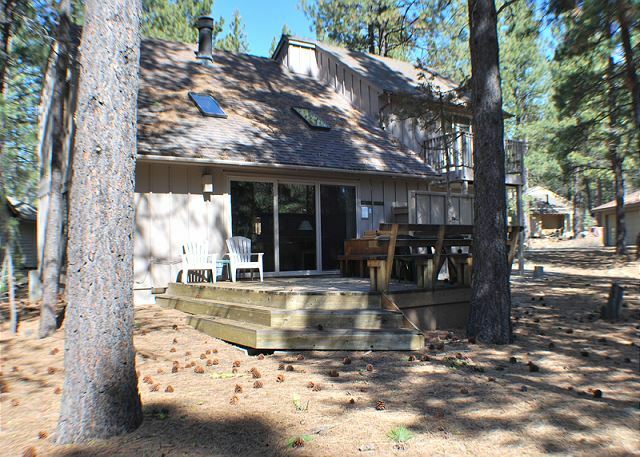 Your Sunriver getaway awaits! Sunset Realty is the best! 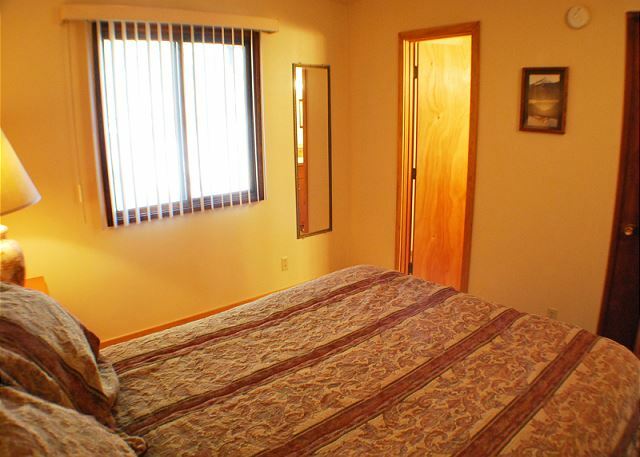 The house is clean and comfortable and in a good location. 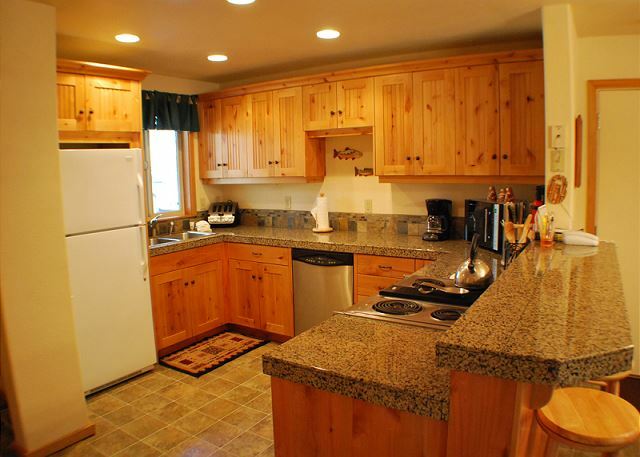 The kitchen is not as well stocked as could be and the TV sets are very small for the size of rooms. Our third visit was as fun as the other two!! 10 family members greatly enjoyed our stay here. 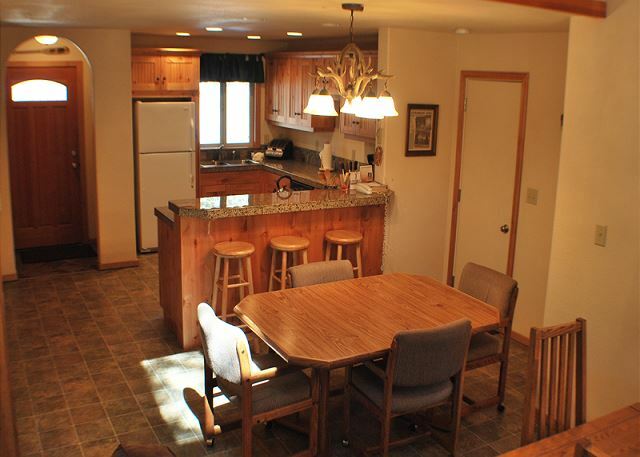 Used the hot tub, grill, fireplace and kitchen, which was well equipped. Location was peaceful. Space was adequate and beds comfy. Downsides included a carpenter ant infestation in the kitchen area, and a sliding door between the loft and bathroom which wouldn't completely close. We are glad you enjoyed the home. Maintenance has gone out and check on the ants and looked into why the door wouldn't close. Thanks for bringing this to our attention.